Today was Day #4 of Chocolate and Africa Theme Week. 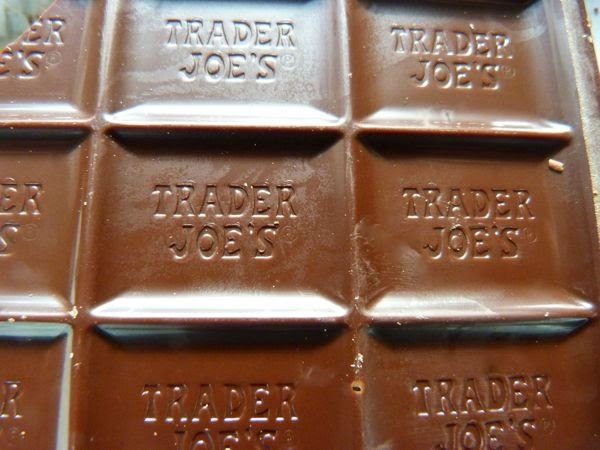 This Sao Tome 70% cacao bar from Trader Joe's (Monrovia, CA) was part of a larger 8-bar Chocolate Passport tasting pack that I purchased at a local Trader Joe's store. 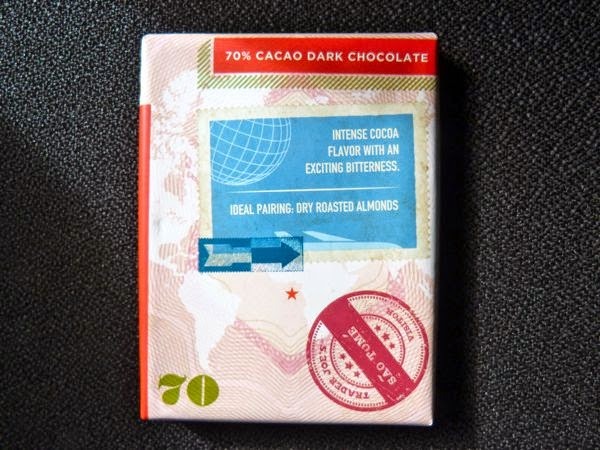 This was the third of three single origin bars from Africa included in this Chocolate Passport pack. Sao Tome (part of the Democratic Republic of Sao Tome and Principe) is a small island nation off the western coast of Africa (just north of the equator) where cocoa is a top export. 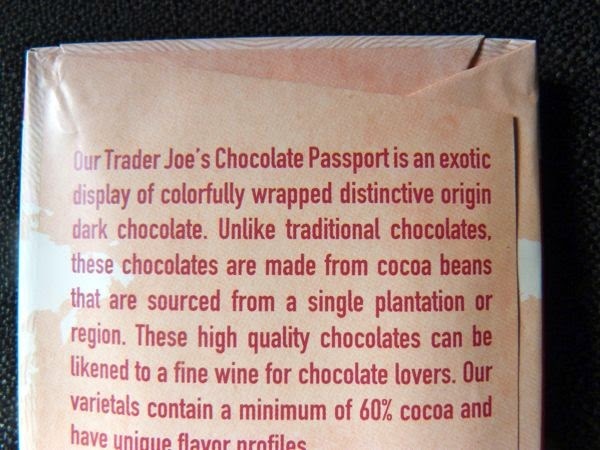 The tasting notes printed on the bar's label described the bar this way: "intense cocoa flavor with an exciting bitterness." I found it had bittersweet fruit and faint earth notes; and, like the other bars in this pack that I've tried so far, had a relatively smooth and creamy melt and texture. 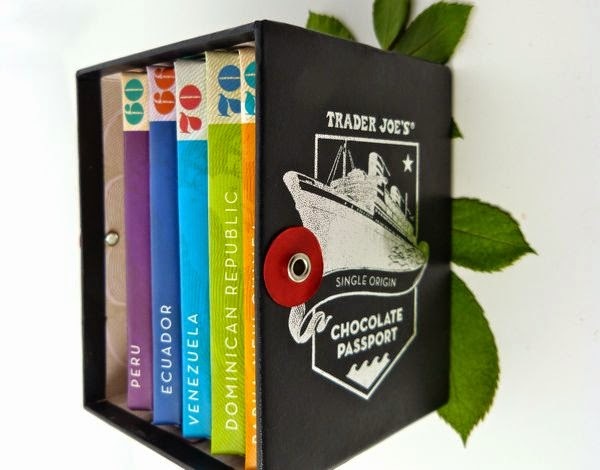 Because these tasting packs of single origin bars seem to appear for a limited time each year -- and sell out quickly at the Trader Joe's locations near where I live -- these collections of bars always seems relatively fresh -- a big plus. While these bars have a relatively long shelf life; nothing beats fresh off the production line.